These Ricotta Pancakes have just the right fluff and richness that you've been looking for in your hotcakes. While adding ricotta to your pancakes may be new to you, it actually dates back centuries. And if you're worried, don't be, you can't taste the cheese. 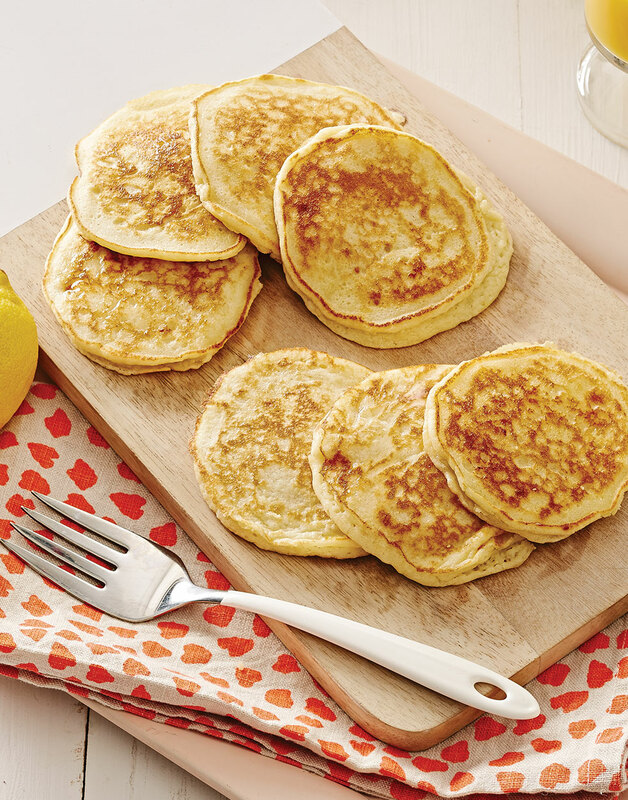 The addition of ricotta gives your pancakes an almost creamy interior as it bakes into the batter. Plus, separating the eggs and whipping the egg whites ensures your stack of flapjacks will be otherworldly. But one thing is for certain, after trying this recipe, you definitely won't go back to the old way of making pancakes. Whisk together flour, baking powder, and salt in a bowl, then form a well in the center. Whisk together ricotta, milk, sugar, butter, egg yolks, vanilla, and zest in a measuring cup; pour into dry ingredients, whisking just until incorporated. Whip egg whites with a hand mixer on high speed until stiff peaks form, 2–3 minutes. Stir one third egg whites into batter; fold in remaining whites in two additions. Heat an electric griddle to 375° or a nonstick skillet over medium; coat with nonstick spray. Drop the batter by a scant ¼ cup onto griddle; cook until bubbles appear on tops and bottoms brown, 4 minutes. Flip pancakes and cook until bottoms brown, 3 minutes more. Repeat with remaining batter. So the melted butter doesn’t “cook” the cheese, milk, or yolks, cool it slightly before adding it. Pouring the wet ingredients into a well in the dry ingredients allows for quicker, easier mixing. Stir in some egg whites to lighten the batter, then fold in the rest in batches so as not to deflate them too much.